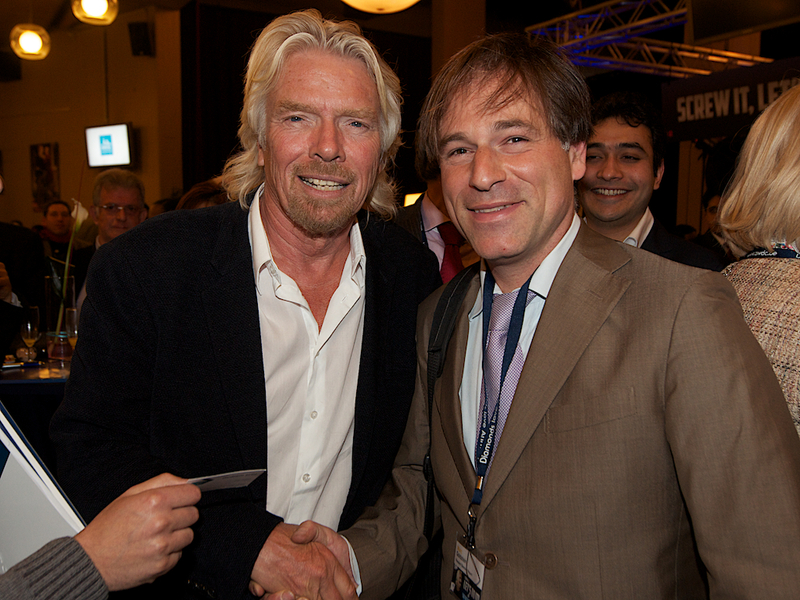 Let’s make it clear from the start: Yes I did meet with Richard Branson and no, he most probably wouldn’t remember me. And yes I definitely had more hair than today… but the good news is that I lost some weight as well… who cares, anyway! The event was one of the too few Antwerp Diamond Conferences, organized by the Diamond High Council when it was headed by Peter Meeus. It was THE event of the year in Antwerp, the kind of events that made sure the Diamond Square Mile back would remain in pole position on the global industry map. This was in 2012, if I’m not mistaken. Among others, R. Branson explained that he didn’t have an office and that all his endeavors were monitored from his home, through his computer. This felt quite reassuring, since I never had a real office myself. Although my guess was that not-having-an-office wouldn’t be enough to succeed by his standards. Nevertheless, it was nice listening to him, while he was sitting at the guest table, surrounded by a large portion of the City notables and of the Flemish government to the least. He recalled how he launched his first airline company, just by meeting the need he felt himself while travelling to South-America. He’d call Boeing and ask whether he could borrow or lease some airplanes, and stressed that they didn’t take him very seriously in the beginning to the least. But the real lesson I learnt from that incredible evening would be of a totally different nature. At some point during this glamorous gala evening, people would approach the central table and be allowed to ask for autographs. As a specialized reporter, I was quite close, and suddenly, I was violently pushed. First I didn’t know what was happening. It felt like I was attending a too much crowded concert. Then I looked behind me, and you couldn’t imagine my surprise when I discovered that one of the biggest diamantaires ever was pushing me in order to get ‘Sir’ Branson’s signature on a piece of paper. To him, walking over me if necessary would just be a mean to an end. I looked at him straight into the eyes and let him pass. At that very moment, this multi-billionaire man turned out to be far much poorer than me. I never looked at him the same way since then. He suddenly lost his aura, and that’s when I really understood that regardless how successful or rich they might be, people remain just people. NB: featured picture was taken by Donald Barry Woodrow.